As soon as #babyMartinez's tooth came out a day before her birthday, I got all excited and thought of finding a good dentist for babies. 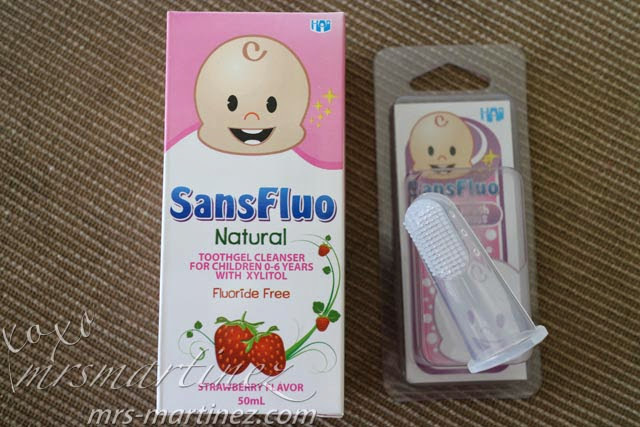 My friends advised me otherwise so I shifted my attention to finding the right tooth cleanser because the princess has three already... yipee! 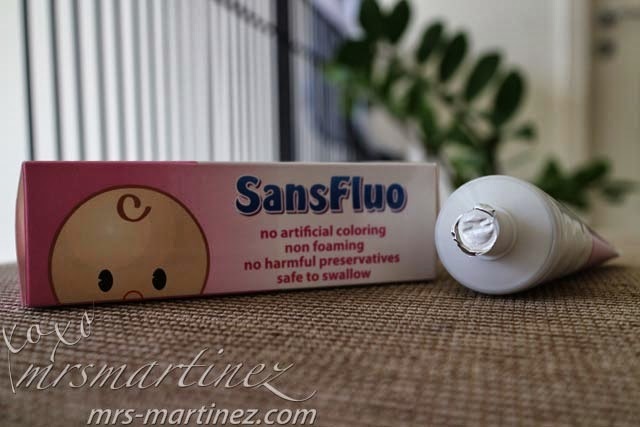 SansFluo has a cooling effect. It has no artificial coloring, non-foaming and no harmful preservatives. Best of all, it is safe to swallow. 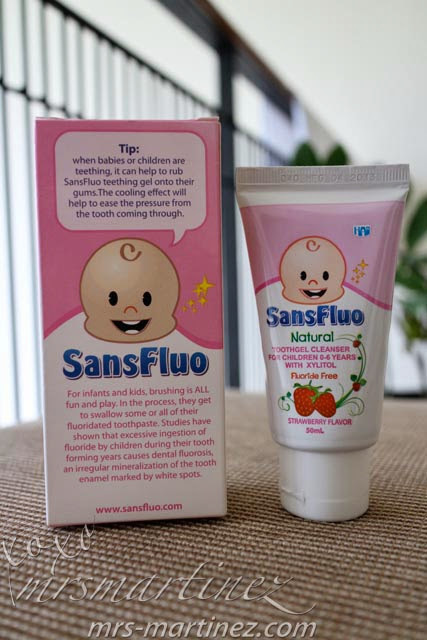 Tastes nothing like strawberry but it smells like one ; ) It's fluoride free so you don't need to worry about excessive ingestion of fluoride. Studies have shown that fluoride ingestion by children during their tooth forming years cause dental fluorosis- an irregular mineralization of the tooth enamel marked by white spot. I don't know if I am using the right tooth cleanser. Any violent reaction? May I ask what you are using for your little one?